The Recycling of lead acid batteries prevent toxic components being released which can present a potential risk to human health and the environment. The recycling process uses only 30-40% of the energy taken to produce lead from ore and conserves natural mineral resources. Once the redundant lead acid batteries reach the recycling plant they are broken using a crusher and separated into their different components for individual treatment. The plastic casing is turned into pellets which are mainly used to create new lead acid batteries. The lead is smelted and recycled into lead grids for new lead acid batteries or lead oxide which is used in the manufacturing process. The sodium sulfate is separated from the redundant battery acid, neutralised and used as washing detergent and in the manufacturing of textiles and glass. The handling, storage and transportation of scrap lead acid batteries are governed by several pieces of legislation including The Hazardous Waste Regulations. It is your responsibility, as a producer of waste lead acid batteries, to dispose of such waste according to stringent rules set out by the Environment Agency. The Hazardous Waste Regulations came into force in July 2005 to replace the Special Waste Regulations in England and Wales. All batteries are classed as hazardous waste as they contain corrosive chemicals which harm the environment and can be explosive in certain conditions. To legally dispose of or recycle scrap lead acid batteries you must do the following: Register with the Environment Agency as a Hazardous Waste Producer This carries a fee of £18 per year. County Battery Services can do this on your behalf and deduct the fee from your scrap battery payments. Should you produce under 500kg of hazardous waste per year, you do not need to register. Obtain a Consignment note, which is signed by the Producer, the Carrier and the Consignee, and a fee is paid to the Environment Agency. The company who removes and transports the waste from your site must be registered with the Environment Agency. County Battery Services is registered waste carriers and are licensed to appropriately handle hazardous waste. The requirements of Duty of Care specify that you must ensure that your scrap lead acid batteries are disposed of or recycled safely and in accordance with the legislation. The incorrect storage, transportation and disposal of waste lead acid batteries is an offence and can carry an unlimited fine and/or 2 years in prison. County Battery Services are here to help you with any questions you may have with regard to legislation. Please call 0800 0914422 for more information. These regulations prevent waste batteries being landfilled as they do not meet the 'pre-treatment' criteria which remove the corrosive and environmentally damaging chemicals before being sent to landfill. Environmental Protection (Duty of Care) Regulations 1991 These regulations lay out the structure of environmental controls, documentation required for storage, transportation, recovery and disposal of controlled wastes including scrap batteries. Also, it states the Duty of Care. Environmental Protection Act 1990, Part II This Act governs the way hazardous waste is stored and handled on land and prevents contanimation. This applies to companies who store waste lead acid batteries and hazardous waste. The Controlled Waste (Registration of Carriers and Seisure of Vehicles) Regulations 1991 These regulations state that any waste carrier must be registered with the Environment Agency and therefore will hold a current licence. The Waste Management Licensing Regulations 1994 These regulations specify the conditions of how wastes should be managed on land. 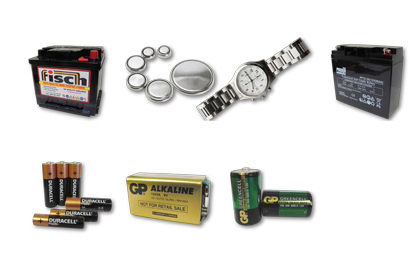 In relation to scrap batteries, they must be stored in suitable containers and be removed and transported by a registered waste carrier to the point of recycling or disposal.